Lead is a bright silvery metal that has been used for thousands of years due to its abundant availability, high malleability and resistance to corrosion. However if ingested, lead poisons and adversely affects humans and other vertebrates. Lead is a potent neurotoxin and also an extremely harmful occupational toxin. Human exposure to lead occurs through environmental sources which have been contaminated by industries using lead or processing lead-acid batteries, producing lead products or metal foundries. Lead exposure can also occur from water, soil or air that is contaminated with lead products. Leaded gasoline and paints are major sources of lead contamination. Occupational exposure to lead can occur in units producing lead-containing equipment, glass or battery manufacturing units, smelting or ore processing units, etc. Depending on the time and level of exposure lead poisoning is classified as acute and chronic poisoning. Pain, muscle weakness, blood in urine, metallic taste and gastrointestinal symptoms such as nausea, vomiting, diarrhea are few of the symptoms seen in acute poisoning. Symptoms in chronic poisoning are seen as neuromuscular, neurological and gastrointestinal. Short term memory, nausea, depression, numbness, headache, etc are commonly seen symptoms in chronic poisoning. A symptom of chronic poisoning is a blue line along the gum with bluish black edging to the teeth. Poisoning by organic lead compounds has symptoms predominantly in the central nervous system, such as insomnia, delirium, cognitive deficits, tremor, hallucinations, and convulsions. Prevention of lead exposure and chelation therapy are the standard treatments available for lead poisoning. Symptom-based treatment such as treating seizures or gastrointestinal problem is also employed in treating lead poisoning. 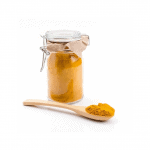 This article explores the use of turmeric, a curry spice native to India, in treating lead poisoning. Oxidative stress is the main underlying mechanism of lead toxicity. Oxidative stress is the imbalance between the production of reactive oxygen species (ROS), which if present in excess mediate oxidative damage and antioxidant agents of the body that detoxify the ROS. Glutathione is one of the most important cellular antioxidants and lead inactivates it by binding to glutathione’s sulfhydryl groups. Lead also inactivates other antioxidant enzymes like superoxide dismutase and catalase. Lead causes lipid peroxidation. Lipid peroxidation is the process in which ROS generated degrade the lipids present in cell membranes and lead to cell death. This further leads to hemolysis. Lead is also known to replace other ions such as calcium, magnesium, and iron thereby affecting various fundamental biological processes of the body. 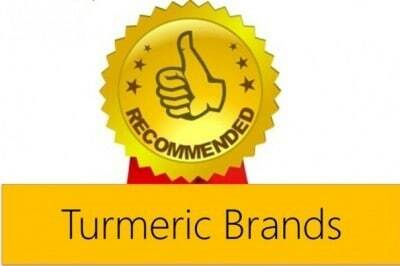 Turmeric is a strong antioxidant. It scavenges ROS, elevates the levels of antioxidant enzymes and inhibits lipid peroxidation. 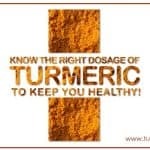 Its antioxidant activity is comparable to that vitamin C and E. Turmeric also acts as a chelating agent. Chelation therapy is a technique by which an agent that has an affinity towards the metal is introduced in the body. This agent directly binds to the metal and forms complexes that are easier to eliminate. 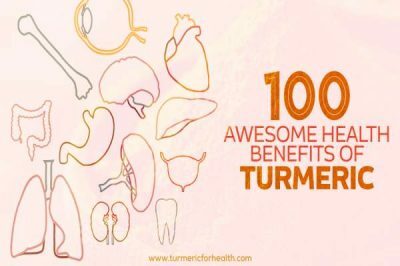 Turmeric’s chelation activity has been proven against lead and metals like cadmium, iron and copper. Following research studies validate the therapeutic role of turmeric in lead poisoning. The effect of lead on antioxidant enzymes, lipid peroxidation in liver and genetic material obtained from the bone marrow of mice was studied in Egypt. Also, the effect turmeric and myrrh on such lead toxicity induced changes were observed. Lead poisoning was induced by supplementing the diet with lead acetate and turmeric was included in the diet at concentrations of 1% and 5%. Lead decreased the activity of antioxidant enzymes and caused oxidative damage. Genotoxicity of lead was seen in the form of a reduced number of dividing cells and increased the frequency of chromosomal aberrations. 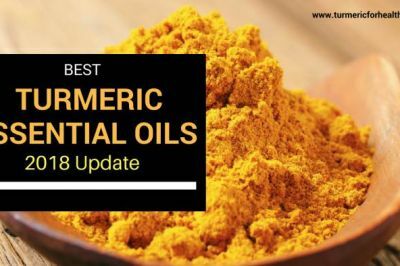 Lipid peroxidation was reduced by 31% and 49% in mice receiving 1% and 5% turmeric powder respectively. 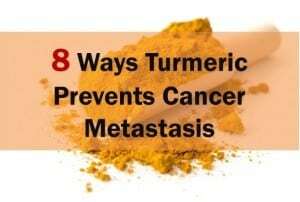 Turmeric also improved the activity of antioxidant enzymes and significantly reduced the lead-induced genotoxicity. 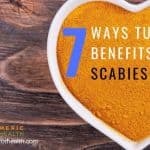 5% powdered turmeric offered strong protection and the study suggested that turmeric and myrrh are useful in controlling lead acetate induced damage. 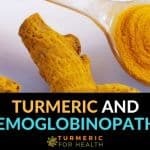 Curcumin is proven to protect brain cells from lead toxicity. The experimental study involved injecting different brain sections of rats with lead acetate (20mg/kg) in the presence and absence of curcumin (30mg/kg). Curcumin protected the neurons from lead-induced damage by controlling lipid peroxidation. 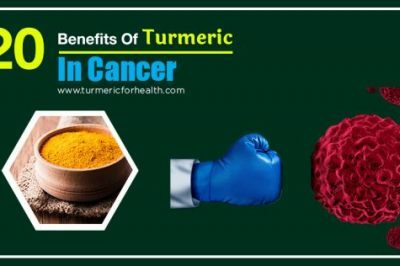 The study also examined the way curcumin eliminated lead from the tissue and it was observed that curcumin directly binds to lead and serves as a chelating agent. 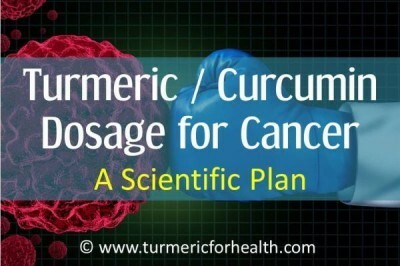 In this manner, curcumin reduces oxidative damage caused by lead in brain tissue. The protective effects of curcumin against lead-induced neurotoxicity in rats has been studied and validated successfully. Rats were exposed to lead (50mg/kg) for 45 days and the toxicity was observed in the form of increased lipid peroxidation and decreased levels of antioxidant enzymes. Co-administration of curcumin (100mg/kg) brought about a significant decrease in lipid peroxidation and concentration of lead in brain tissues. 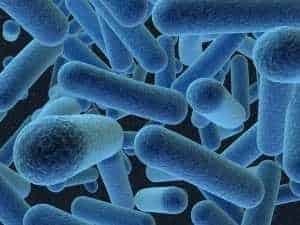 It also increased the level of antioxidant enzymes and thus reduced neurotoxicity caused by lead-induced oxidative damage. Another study investigated the effects of curcuminoids on lead-induced neurotoxicity. Curcumin, demethoxycurcumin, or bisdemethoxycurcumin was provided to rats that were already supplemented with lead for 5 days. 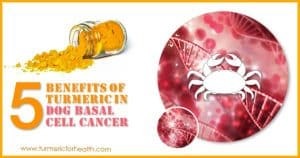 Results indicated that bisdemethoxycurcumin did not have much effect while groups treated with curcumin and demethoxycurcumin showed decreased lipid and protein oxidation. 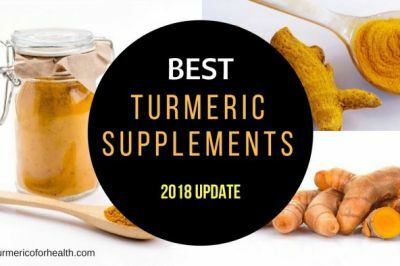 It also showed an increased level of antioxidant enzymes and increased memory retention in comparison to lead treated groups showed that curcumin also protected brain cells from pathological damage. A study conducted in Bangladesh evaluated the potential sources of lead exposure in the children of the rural community. The Centers for Disease Control (US) has set the standard elevated blood lead level for children at 5 µg/dl of blood. 78% of the children evaluated had blood lead concentrations greater than equal to 5 µg/dl and 27% had concentrations greater than 10 µg/dl. Soil, dust, rice and spice samples were obtained from visits to the homes of 28 random children. 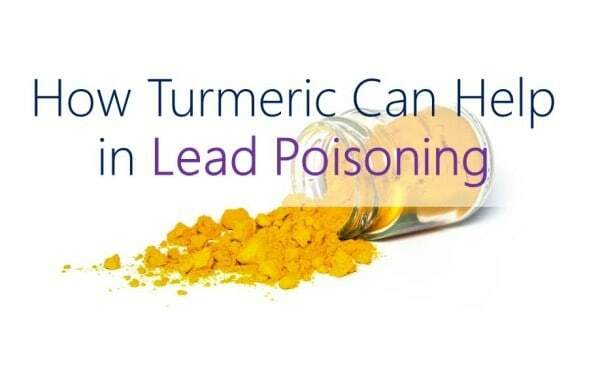 Results showed that lead concentration in turmeric samples was very high and contamination of turmeric powder proved to be a potential source of lead exposure. However, the source of contamination was not determined. Further investigation regarding cultivation and manufacturing procedures of the spice is required. This study was localized to a rural community in Bangladesh and previous research provides evidence of contamination of fish and vegetables in urban Bangladeshi settings. 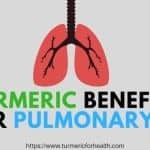 In September 2013, FDA announced a voluntary recall by distributors of turmeric powder manufactured by a Bangladeshi company due to elevated lead levels. No exact cause can be ascertained for contamination of the spice. Therefore it is advisable to purchase the spice manufactured by FDA approved brands. 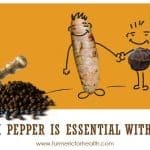 Turmeric is considered very safe as a spice. No clinical or preclinical study has recommended a specific dose for treating lead poisoning. 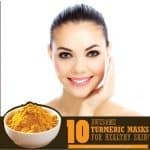 One can easily take 1 tsp of turmeric powder per day without any issues. 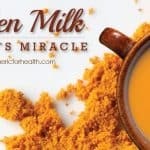 Two of the best ways to take turmeric is – Turmeric milk and Golden paste. 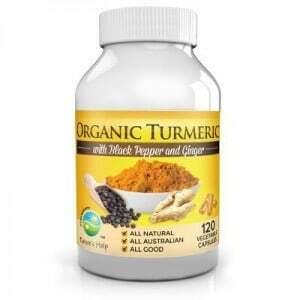 Turmeric supplements are concentrated forms of curcumin or contain compounds to enhance it bioavailability. They are to be taken with caution because overdosing, allergic reactions or interaction with other drugs can lead to complications. Individuals consuming blood-thinning drugs, antacids, etc. Lead poisoning is one of the most common heavy metal poisoning known to affect mankind. Lead exposure accounts for 0.2% of deaths worldwide. Lead interferes with various biological properties and enzyme activities. It affects a number of organs and tissues including heart, bones, intestines, kidneys, and reproductive and nervous systems. Since limited options of treatment are available, it would be useful to investigate alternative medicine for a cure. 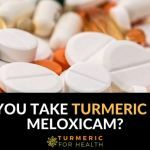 Turmeric serves as a herbal remedy to lead poisoning by eliminating lead, offering neuroprotection and it can also treat symptoms associated with lead poisoning. You should cite the studies you mention, as per widely accepted academic and journalistic norms. Hi. We do give backlinks to the studies. If you click on the orange highlighted words you will be redirected to the particular study. I have been redirected here because I bought a non labeled plastic bag of Turmeric in a herbs and nuts natural shop. They import it and sells them by bulk, the person selling didn’t have information about precedence or anything, but since in here is not easy to find Turmeric, I bought it. Now I have the concern if could be contaminated by lead. The contents look very yellow and bright, no sign of spoilage, no bad odors or taste, been taking it 3 days now. I will ask for more information about it in the shop, but do you recommend me stop consuming it? 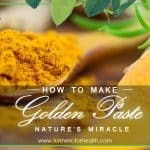 I don’t have other way to get pure Turmeric as far as I know here where I live. Paid 4 usd for 1/4 kg. Any advice would be helpful. I am taking it only as prevention.